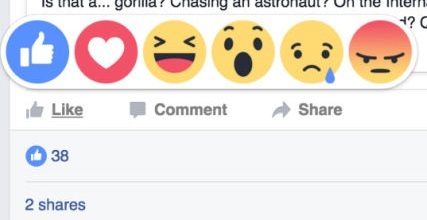 Thursday 25th May 2016, Facebook has update five reaction buttons replaces the Like button. 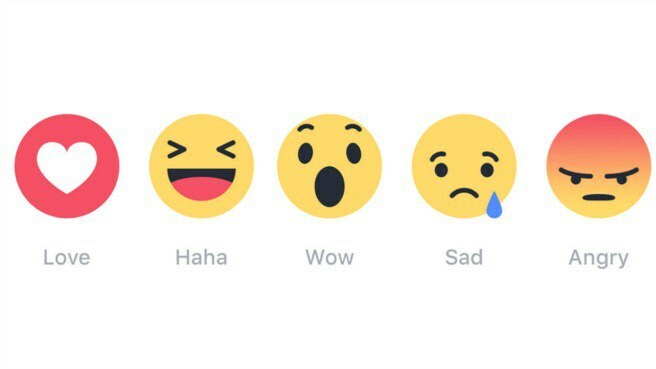 The new reaction buttons including: Wow, Haha, Sad, Angry, Love. The purpose of Facebook is to help users not being passive as before. Each of these buttons express a certain situation as their name suggests. How to use reaction button? The reaction buttons feature is expected to take few days to be available to everyone in all countries, however, you'll be needed to update your Facebook App if you are using Facebook Application on iOS or Android. If the buttons are available at your location, all you need to do is to find the Facebook photo, video or status that you want to React on, just hover on the like button and you will see other reaction buttons, then you can decide to express your feel by clicking the button you want. Now, you can do whatever you want. You can Sad, you can Angry, you can Haha, you can Wow and you can Love.